Made of reclaimed boiler plate, rosewood, cherry and stainless steel. Made from 100 year old reclaimed fir, mahogany and stainless steel. Vintage and contemporary leathers, hand-polished deer horn and custom accents. 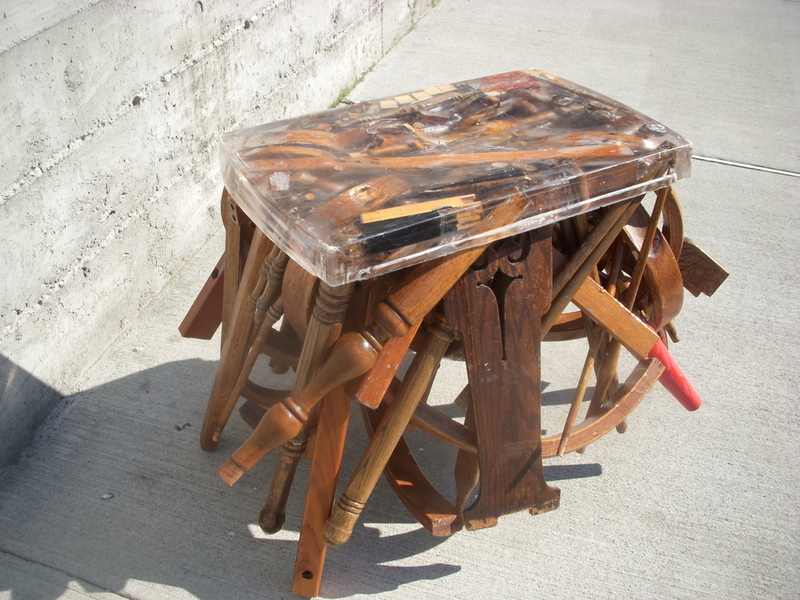 Acrylic resin, parts of reclaimed chairs, stools, pool balls and piano keys. All the detritus one would find on the floor after a bar fight. Derived from an Enfield rifle, length of stainless steel cable, chrome light fixtures, and traditional filament light bulbs.